Real Madrid have announced that Sergio Ramos has sustained a calf injury which could rule him out for up to three weeks. The Real captain was absent from last weekend’s 2-1 La Liga win against SD Eibar for unknown reasons at the time just three days after playing the full 90 minutes of their 2-1 defeat at Valencia. 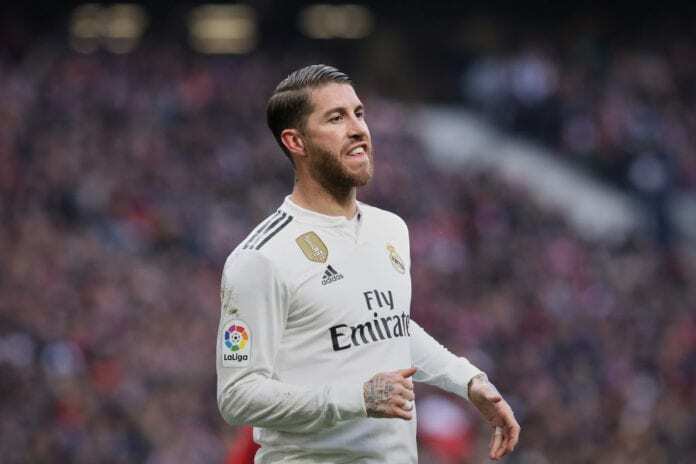 Ramos has been an ever-present figure in the Real line-up this season, with 39 appearances in all competitions to his name despite the club undergoing three managerial changes. In fact, the only games he’s missed all season came against Levante UD, Real Valladolid and Real’s now-infamous Champions League defeat to Ajax through suspension. Earlier today, Los Blancos broke the news that Ramos has suffered a calf injury and gave no possible return date for their skipper. “After the tests carried out on our player Sergio Ramos by the Real Madrid medical services, he has been diagnosed with a grade I injury in the left soleus. The player’s situation will continue to be monitored,” read a club statement. Therefore, the Spanish centre-back is expected to be sidelined for the next three weeks. This will likely rule him out of Real’s La Liga matches against Leganes, Athletic Bilbao, Getafe and Rayo Vallecano. Although the loss of Ramos is, perhaps, not such a massive blow for Real anymore considering that they longer have anything to fight for this season. With Champions League football almost secured for next season, the biggest prize left for Zinedine Zidane’s side to chase is the runners-up spot in La Liga. Currently, third-place Real sit just two points adrift of city rivals Atletico Madrid in second ahead of the final seven games of this season. For now, though, Real will focus all their efforts on Monday night’s game at Leganes. Marcelo is expected to be restored to the line-up after serving a suspension, while Thibaut Courtois and Mariano Diaz may return from injury. Next articleQuiz: How deep is your knowledge about Edgar Davids?